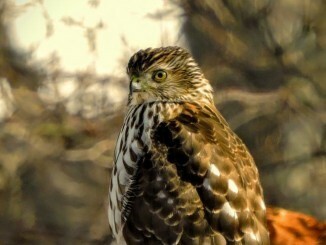 Park Forest, IL-(ENEWSPF)- Impress your friends this spring with your birding smarts and binocular savvy. Come to get an early start with this popular hobby – bird watching. Learn key shapes, markings, habits, and songs for our most common local birds with crafts, activities, sounds and a hike. Plus create special projects for display at Beginning Birding for All program February 16. Join the 9 a.m. Beginning Bird Hike and host activities at that event. Beginning Birding for Kids workshop will be offered on four Sundays, January 13 through February 3 at 1-3:30 p.m. and Saturday, February 16 from 9 am to noon, and is open to those aged 7 to 12 years. Registration and payment are required by Wednesday, January 3. The fee for the full five sessions is $20 and includes a field guide to birds. Programming for children is sponsored by the Thorn Creek Audubon Society. 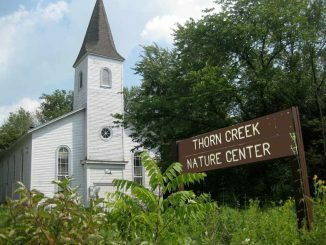 Thorn Creek Nature Woods Nature Preserve is located at 247 Monee Road, Park Forest. For more information or to register for programs, please call 708-747-6320 or email [email protected] Visit our website at www.tcwoods.org. This is a release from the Thorn Creek Nature Woods Nature Preserve.